Netflix has announced smarts downloads feature for its users but this new invention is only available for android device user. iOS users have to wait for this update later this year. This feature was released on Tuesday (10 July 18) by which user can view their favorite episodes and movies offline. This feature is beneficial for those who want to see old episode and who want to go for walk or travel using this feature user able to view their favorite show in offline mode without internet connectivity. You only need to keep the show in download mode. You can watch the downloaded content anytime. It works similar to pokemon without internet concept. You can easily view your downloaded series episodes without any interruption. The company provides offline viewing feature which similar to YouTube offline mode. YouTube already gives same feature Youtube without Internet free. Netflix primary business is providing subscription based online streaming service. They offer online streaming films and television programs libraries including those production houses. This implementation will become first critical step for its online streaming business and also increase their market revenues. 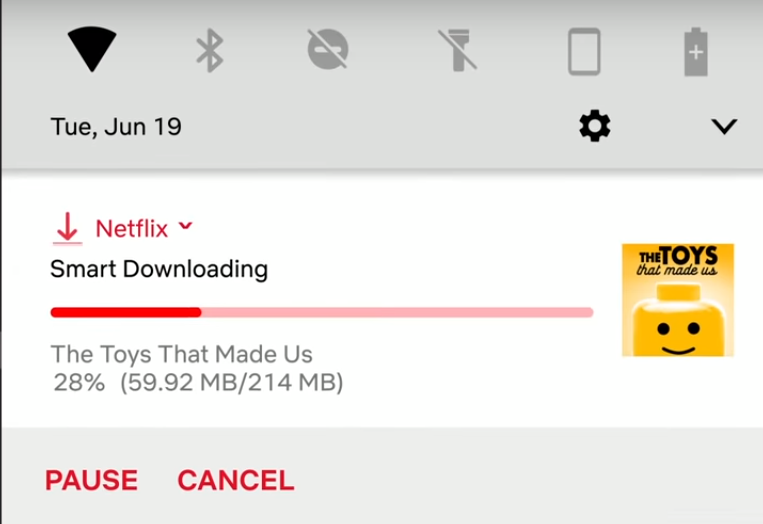 Netflix’s production innovation director Cameron Johnson said to BuzzFeed News that “Downloading is a very manual process today, and you have to manually go back and delete episodes.” This feature will helpful for that manual process. It’s clear meaning is that once you enable smart download feature on Netflix app your previous downloaded episodes will be deleted automatically which you have watched already. The next episode will be downloading automatically of same series when you connect your device with WI-FI. This feature only offer for TV shows not for movies. Step 1: Go Google play store and install new your update of system. Step 2: Open Netflix app and enable smart download option from settings. Step 3: Search your favorite web original series on search bar. Your favorite episodes and web series will appear on your phone screen. Select season or episode which you want to download and view. Step 4: Click on download icon of episode. Your download process will start; you can see the download process on notification bar. Step 5: When your download process finish the popup will be appeared which alert you that your downloading has been completed. Step 6: If you want to see your downloaded episode you can go to download section of menu and view the episodes. You can also customize the WI-FI setting. Go to setting and turn on or off manually. If you want to watch that downloaded which have deleted then go to setting and turn off the smart download option. After that you can able to download again.